Team Players are the heart of the team, and for good reason. They love everyone and everyone loves them back. They accept others for who they are, rarely complain and just radiate good humor and gentle kindness. No matter what is going on: games or work, disaster or party, Team Players are ready to join in and help out. Team Players sit on the bottom left corner of our personality chart . They are low on the energy scale and much prefer associating with people over doing tasks. Team Players make great mediators. They are naturally good at letting others have their say and using their keen intuition to grasp what’s not being said. They rarely get ruffled outwardly when someone confronts them, but they can spend days privately stewing over that confrontation. They share their people skills with Cheerleaders, without the scatter-gun approach. Team Players will zero in on one person and give them their full, undivided attention. They like serenity, just like Managers, but want people around. Being alone is stressful. If there is one thing you know for sure about Team Players, what you see is what you get. No surprises, no sudden changes in….anything. Their emotions are stable; their demeanor never takes unexpected turns. As a teen, Team Players are the least likely to turn up at the dinner table with purple spiked hair. They are gentle and uncomplaining, preferring to suffer some discomfort over hurting someone’s feelings. Team Players have the very special gift of being a perfect antidote to any of the other personalities. They can tone down the impulsiveness of a Cheerleader, buffer the tactlessness of Coaches, and pull the Manager out of even the deepest slumps. Team Players love to watch the other kids in the classroom and keep tabs on what they are doing. This tendency to ignore their work in favor of wandering the room doesn’t make the teacher very happy, but the other kids love them. Team Players do not excel in academics like Coaches and Managers, they are much more apt to excel in caring for others, being friend to the friendless, and showing forgiveness to all. Sadly these gifts are not usually recognized as praiseworthy and Team Players tend to get left out at the school award assemblies. Often they don’t care too much because they are so happy for their friends who did get awards. Parents of the easy going Team Players have a hard time understanding why other parents can’t control their kids. They don’t realize how lucky they have it unless they get blessed with a Cheerleader or Coach themselves later on. One of my daughter’s early babysitters had two Team Player kids. After a couple of weeks with my little Cheerleader, she asked, rather hesitantly: “Is she okay? Should she be on some kind of medication or something?” After several years of raising obedient Team Players with their peaceful and quiet demeanor, she was unprepared for the whirlwind that is Cheerleader. One of the defining characteristics of Team Players is their ability to stay calm, even in the eye of the storms created by other personalities. Cheerleaders get dramatic, Coaches gets loud, Managers get depressed and Team Players just keep on going. They pick up the pieces, calm and encourage everyone, and get supper on the table, too. Team Players may not be highly organized, but they get things done; usually the things no one else sees or wants to do. At the church suppers, Team Players are in the kitchen washing the dishes and entertaining everyone with their gentle good humor. You’ll find them at the little league game before anyone else gets there. The Team Player sets up the food concession, finds the missing bag of balls, cheers for both teams, sympathizes with the kid who struck out for the 3rd time in a row, and stays late to make sure the trash is all cleaned up and put in the dumpster. They do all this quietly, in the background. They don’t want any attention or applause, they just want everyone else to have a good time. Every kid should have a Team Player for a dad. When a Team Player dad is cleaning the garage and the kiddos want to go biking, Team Players are ready and willing to drop the chores and go have some fun. Team Player moms come to all the school events, bake brownies for the PTA and will sit for hours in a sub-zero ice rink to watch hockey practice. Because they themselves weren’t superstars academically, a bad report card doesn’t usually upset their equilibrium. Left to their own devices, a Team Player parent is apt to let the rules bend a bit. One night when I was feeling ill and went to bed rather early, I woke up at 11PM to find daddy Team Player and little Team Player/Manager child still up, watching TV! It’s not that Dad felt it was okay for a 10 year old to be up that late, he just didn’t feel like doing anything about it. Team Players retain a lot of childhood innocence and tender-heartedness right into adulthood. Added to their ability to be great listeners, Team Player parents are very understanding and sympathetic when the children come home with tales of bullies and unfair teachers. And woe to the teacher or anyone else who mistreats their children! Team Players may be gentle but underneath there is a core of steel. They are very firm in their convictions of what is right and what is wrong. They may not like confrontation, but they will not back down when someone they love has been hurt. Team Players are good workers, but they know when to take it easy, too. Coaches, especially, could take a page from the Team Player’s life book. Coaches will coach the little league game, tell everyone else what to do, how to do it, and when, then go home and attack the rest of his to-do list. Team Players go home and take a nap. I was at the house of my Team Player friend Nelson not too long ago. His equally Team Player wife picked up the black cordless phone off the coffee table and went into the kitchen to make a call while the rest of us sat in the living room watching TV. Nelson picked up the black cordless remote control that was also sitting on the coffee table to change the channels. He kept pushing the buttons and when nothing happened he just shrugged and decided to watch what was already on. His wife came in from the kitchen complaining – “no matter which button I push, I can’t get a dial tone, the phone must be broken” She put the “phone” on the coffee table next to the “broken” remote and sat back down, unperturbed. It never occurred to either of them they might have grabbed the wrong instrument and they really didn’t care. “What do you want for supper?” asks the Coach-type wife. “I don’t care” says the Team Player husband. Sometimes Team Players really don’t care and they are fine with whatever others decide. Team Players can be so indecisive, they will sit through the whole 2 hours of a mind-numbingly stupid movie just because, well, they’re sitting there, why move? Being low on the energy output scale can make Team Players appear lazy. As a careful, thoughtful decision maker, they can come across as unmotivated to the faster personalities. Both these assessments can be accurate though when Team Players spend too much time in their weak areas. Other personalities need to be more relaxed, Team Players could stand to be a bit less so. It is easy for him to slide from low-key and calm right into apathy. While Coaches will never, ever, ever be couch potatoes, the term was invented especially for Team Players. In today’s fast paced world, Team Players are the ones most often asking: “where’d everybody go?” Coaches makes things happen, Team Players wonder what happened. Not because they are slow witted, Team Players have more discernment than most, but they take longer to process what is going on around them. Consequently, while they are busy deeply absorbing all the nuance and detail others are missing, the world has moved on without them. 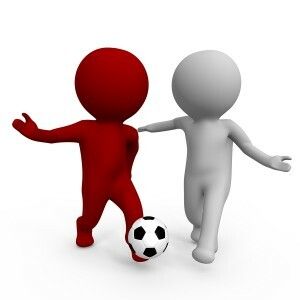 A Team Player make a great friend and everyone should make finding a Team Player friend one of their life goals. They are loyal, loving, understanding, sympathetic, ready to be supportive in any endeavor, and are the first one to show up with chicken soup when someone is ill. Their insights into human nature and ability to read what others are feeling are valuable assets.